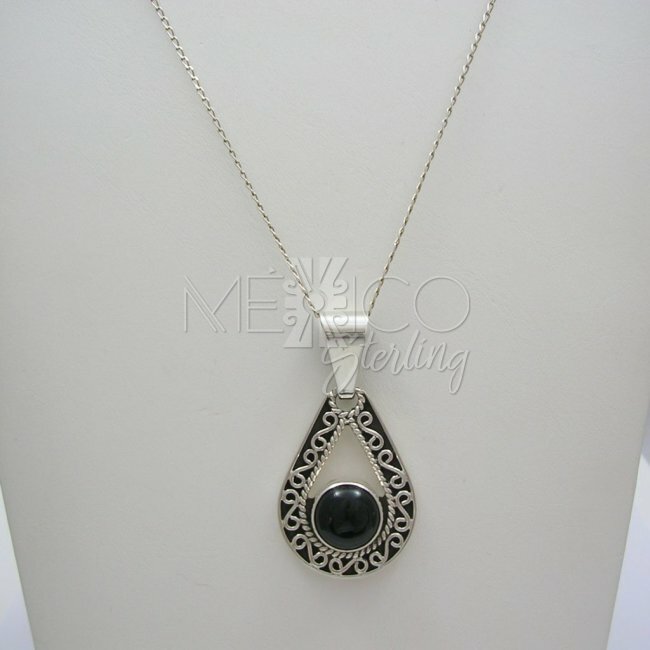 Taxco Solid Silver and Onyx Pendant [PND3098] - $52.00 : Mexico Sterling Silver Jewelry, Proundly from Mexico to the world. 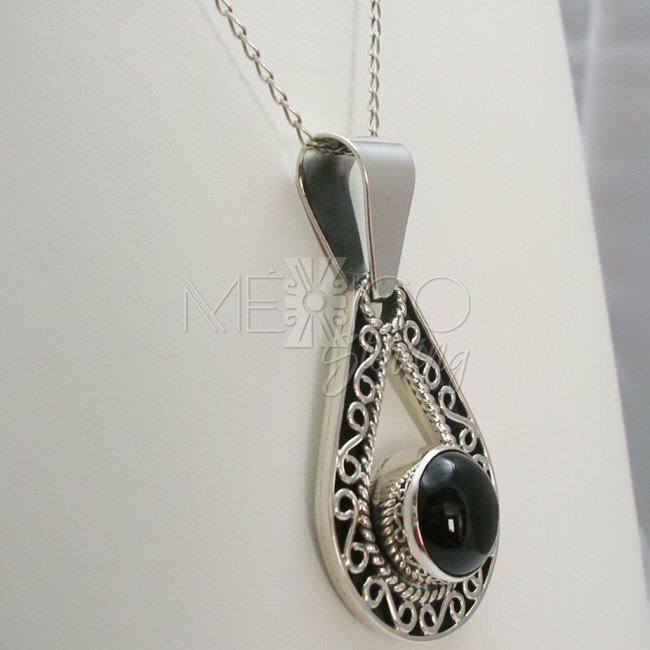 Dimensions: Width : 1 1/4" at its widest point. 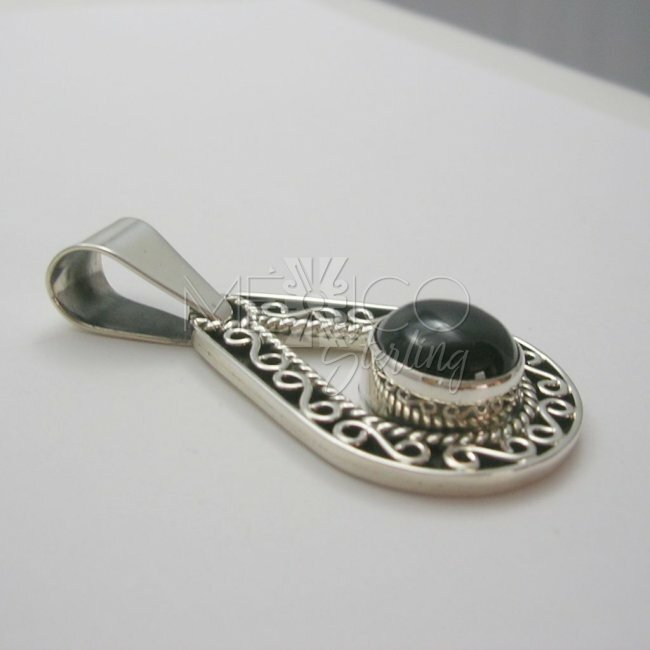 Length : 2 3/8"
Nice pattern and combination of features that dance around on the oxidized silver background. 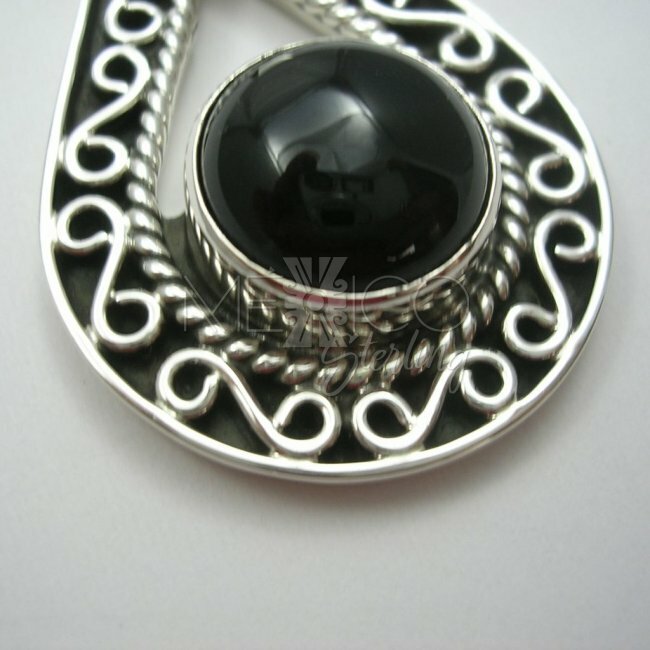 Just a couple of details that adorns this wonderful silver pendant. 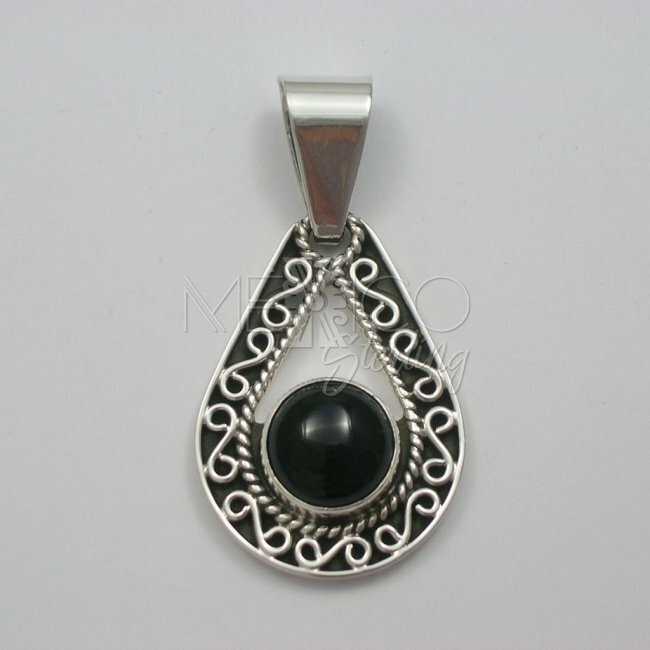 The centerpiece is a natural Onyx stone that adds a touch of class to the whole composition. 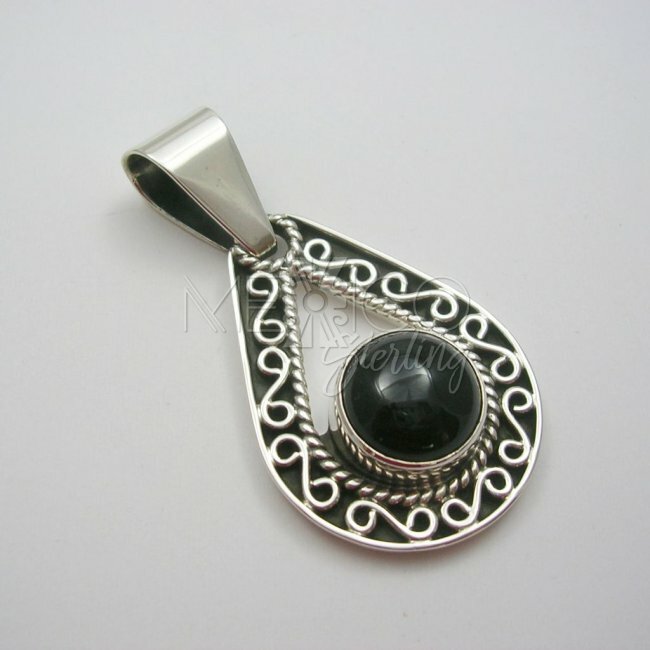 It is completely handmade with solid silver, that's why this pendant is substantial in weight for its built. Very sturdy and durable for sure!